How prevalent is venous reflux disease? More than 190 million people have CVI or varicose veins globally. More than 30 million Americans suffer from varicose veins, or the more serious form of venous disease called chronic venous insufficiency (CVI), yet the majority remains undiagnosed and untreated. Venous reflux disease, also known as chronic venous insufficiency, affects more than 30 million Americans. Varicose veins, a common symptom of venous reflux disease, can affect up to 40 percent of adults. Varicose veins are more common in those who are overweight, and in women who have had more than two pregnancies. Women usually have multiple risk factors for the development of varicose veins. In fact, varicose veins are most common in women (75 percent of those diagnosed) than in men (25 percent of those diagnosed). Up to 55 percent of American women may be affected by varicose veins in their lifetime. It is common for varicose veins to become more prominent during pregnancy and worsen with successive pregnancies. Venous reflux disease treatment aims to reduce or stop the backward flow of blood. Treating the diseased vein improves overall blood flow and relieves symptoms. For some patients, compression stockings alone may improve blood flow. For other patients, closing or removing the diseased vein may be necessary to improve blood flow. Closing or removing the diseased vein directs blood to nearby healthy veins. The VenaSeal™ closure system is the only non-thermal, non-tumescent, non-sclerosant procedure approved for use in the U.S. that uses a specially formulated medical adhesive that closes the diseased vein. The VenaSeal™ closure system treats symptomatic venous reflux disease in the lower extremity superficial venous system, often the underlying cause of painful varicose veins. 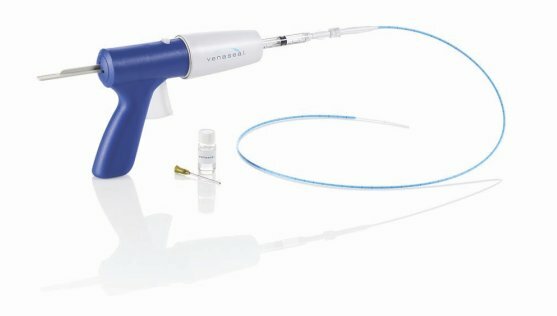 During the procedure, a trained clinician fills a syringe with the medical adhesive, which is inserted into the VenaSeal™ closure system’s dispensing gun that is attached to a catheter. The catheter is advanced into the diseased vein under ultrasound guidance. The catheter is placed in specific areas along the diseased vein and the clinician conducts a series of trigger pulls to deliver the medical adhesive. Compression is applied to the leg during the procedure. Is there clinical data to support the use of the VenaSeal™ closure system? The VenaSeal™ closure system has been shown to be effective in three clinical studies, with demonstrated safety and high closure rates. The intense heat requires a large volume of dilute numbing medicine, which is injected through multiple needle sticks. The injections may cause pain and bruising after the procedure. How quickly can patients return to normal activities post procedure? The VenaSeal™ closure system procedure is designed to minimize patient discomfort and reduce recovery time. After the procedure, a small bandage will be placed at the access site. Patients are able to rapidly return to normal activities. Additionally, patients have reported minimal bruising following the VenaSeal™ closure system procedure. Is treatment with the VenaSeal™ closure system suitable for everyone? The VenaSeal™ closure system should not be used in patients who have a known hypersensitivity to the VenaSeal™ closure system’s adhesive, acute inflammation of the veins due to blood clots, or acute whole-body infection. Adverse events observed in the VenaSeal™ closure system trials—and generally associated with treatments of this condition—included vein inflammation (phlebitis) and burning or tingling (paresthesia) in the treatment zone. 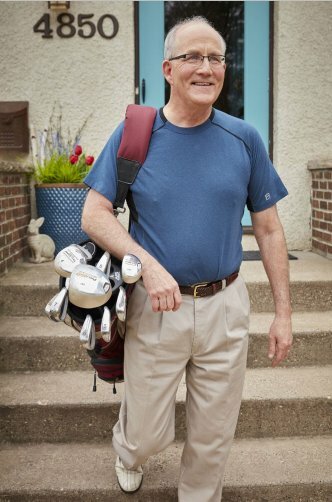 A vein specialist can tell you if the VenaSeal™ closure system is the right option for your situation. Is the VenaSeal™ closure system procedure covered by insurance? As with any procedure, insurance coverage may vary. Those interested in the VenaSeal™ closure system should contact their insurance provider for more information.